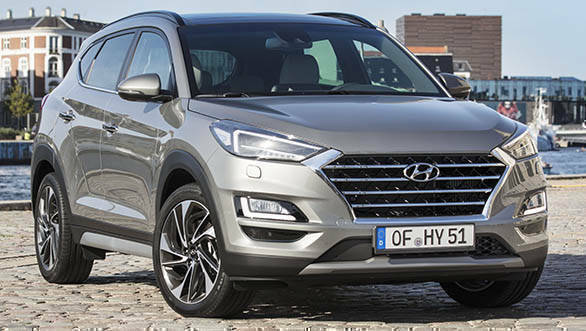 Hyundai was expected to launch the updated Tucson SUV in India around early 2019, but now reports suggest that the SUV will be coming to India only in May 2019. The premium SUV will in available internationally in two variants, the turbocharged 1.6-litre and the naturally aspirated 2.0-litre petrol engine. 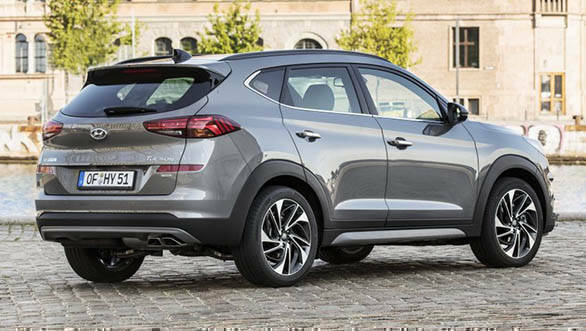 For reference, the 2019 Hyundai Tucson facelift is priced around RM123,888 (approximately Rs 21.93 lakh) in Malaysia. Hyundai also offers a five-year/300,000 km warranty and three-year/50,000 km free service there. Visual change to the car includes the new cascading grille design element seen on newer Hyundais, a sharper headlamp design with new LED DRLs, a reprofiled front bumper with new fog lamps. The side profile doesn't see any noticeable updates but the rear gets new tail lamp detailing, a new tailgate and bumper has also been thrown into the mix. The interiors also see major updates, with a redesigned centre console getting the floating touchscreen treatment. The instrument cluster has also been redesigned and an electronic parking brake has been added. Rain-sensing wipers, high-beam assist, wireless device charging and second-row USB charging are other notable features. The international variants get a full suite of active and passive safety features like lane-keep assist and forward collision warning but it will have to be seen how many of these make it to India. The 1.6-litre unit makes around 177PS and 265Nm mated to a seven-speed DCT while the 2.0-litre Nu MPI churns out 155PS and 192Nm that is paired with a nine-speed automatic. When launched in India, the engine options will include the current 2.0-litre four-cylinder petrol engine with 155PS and 196 Nm and the 2.0-litre four-cylinder diesel motor with 185PS and 408Nm. It is unknown if the 2.4-litre petrol motor(184PS and 237Nm) recently launched in the US will make its way here. The new changes make the car stand out among its rivals like the Jeep Compass and VW Tiguan. At present, the Tucson offers a decent package of comfort, refinement and car-like dynamics. The stronger motor could bring in some much-needed excitement into the mix. This petrol motor also makes sense given the current increase in popularity of petrol cars among Indian buyers due to uncertainty over the future of diesel engines in the country and rising diesel prices.